This project hit close to home for me. I have several relatives who are in the military including my brother who has served overseas twice. After watching the film, I really started to realize how hard transitioning home must have been for him. With my brother in mind, along with every other person I knew who has served overseas as well as all those I know who have pasted away, I came to think of open water more and more. The vastness of how these people must feel. That’s how I imagine death. A giant body of water. Almost everything is unknown; there maybe pieces of things we recognize and remember but it’s mostly one big mystery. 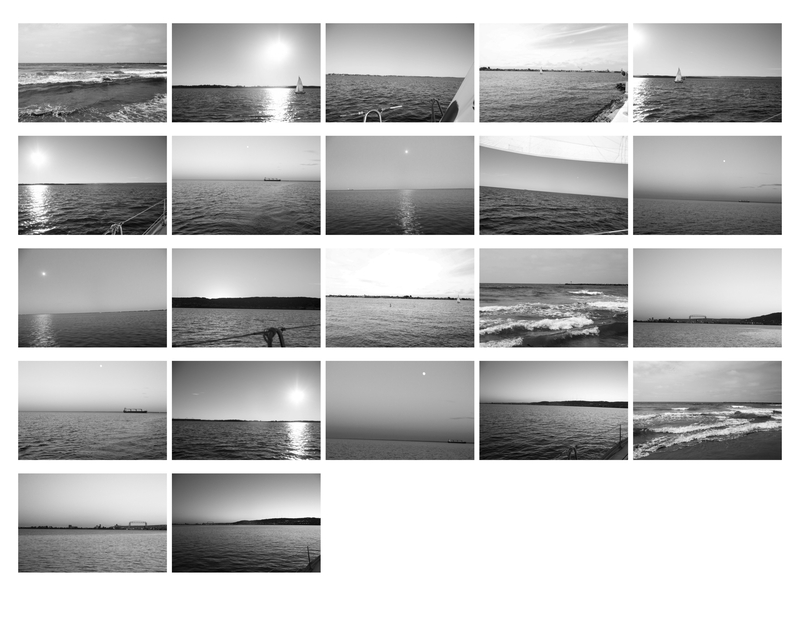 I pieced together 22 images of open water. Everyone’s journey in life is different, what we do, how we live, how we die is differs from person to person, just like how these are all different pictures.